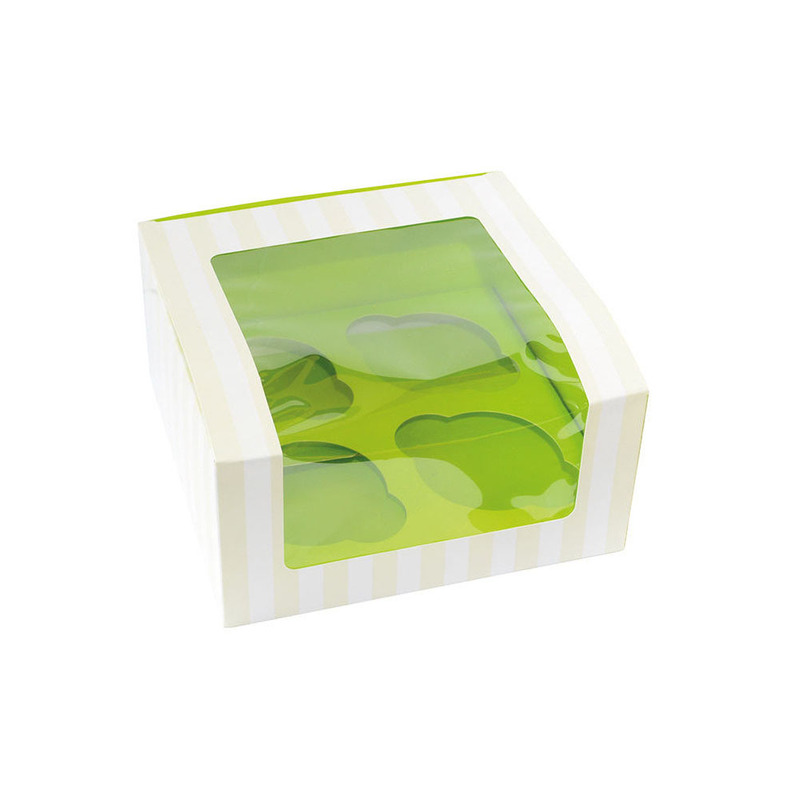 PacknWood 209BCKF4 Green Cupcake Box with Window, 6.7" x 6.7" x 3.3"
These green cupcake boxes with a see-through window is the perfect way to package your cupakes. 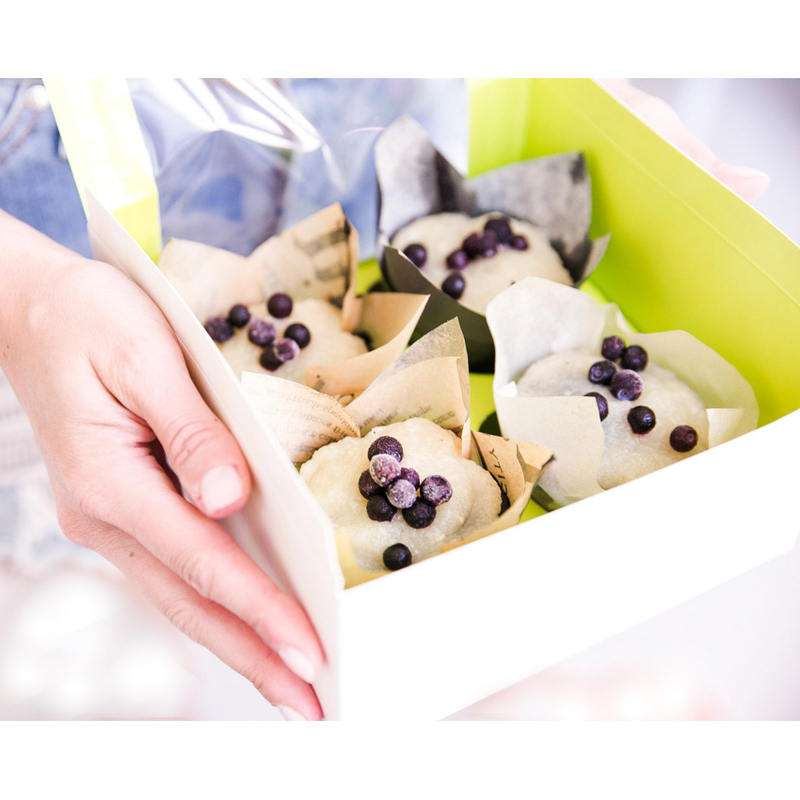 The boxes measures 6.7" x 6.7" x 3.4" and hold four cupcakes. It is made of renewable plastic and paper and can be recycled. Great for use as gift boxes!